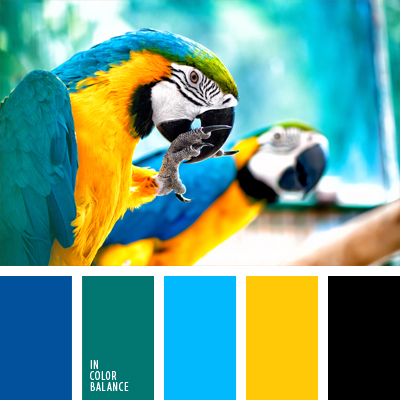 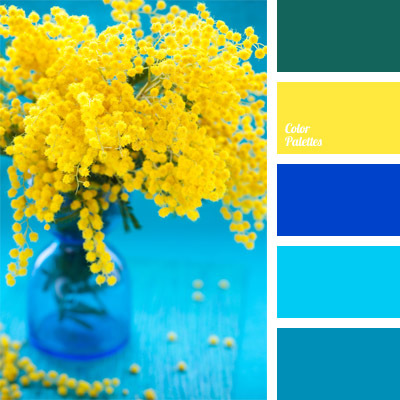 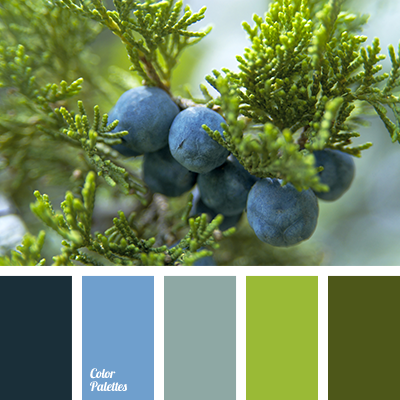 These shades of blue and turquoise go well with bright yellow. 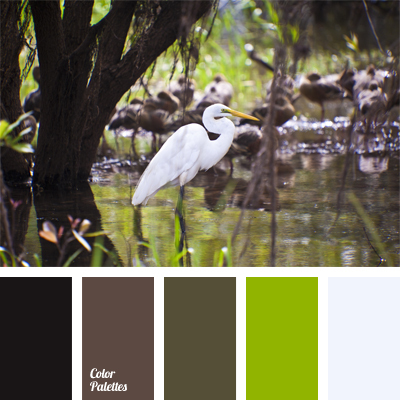 This palette can be used safely for decoration of a flat or a bathroom. 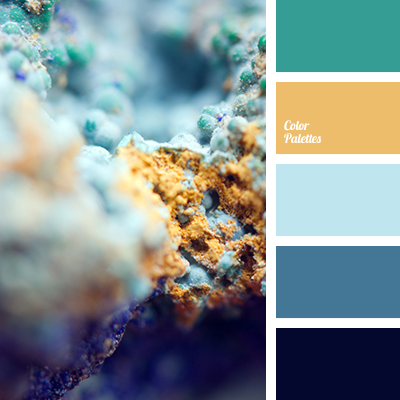 aquamarine, azure, bright yellow, cold and warm shades, color palettes for decoration, colors for decoration, contrasting yellow, cool shades and yellow, cornflower blue, Cyan Color Palettes, deep blue, designer palettes, shades of blue, turquoise, yellow and blue.